ADT doesn't want to get caught sleeping on smart homes. While the home security giant's Pulse service aleady offers basic automation for certain lights, door locks, and thermostats, ADT is planning to make some bigger moves later this year. This includes a hardware venture with LG and integration with Nest thermostats. On the hardware front, ADT and LG are teasing what they call an “All-in-One smart security product" that will launch this fall. Cnet reports that the device is a 5-megapixel camera with 1080p video capture, a 150-degree field of view, a microphone, speakers, and night vision that works up to 30 feet away. 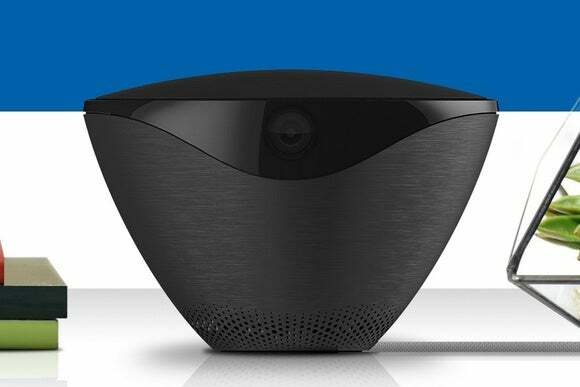 It will offer live streaming video, motion alerts, a siren, two-way talk, and environmental sensors, and will support all the major smart-home protocols including Wi-Fi, Bluetooth, Z-Wave, and ZigBee. The product sounds very much like the Canary DIY home-security device that's available now. In a press release, ADT says the device will serve as a central hub for other smart-home devices, with a single mobile app for controlling them all. It's unclear what other devices ADT and LG are planning to support, and there's no word on pricing (for the device or for any possible subscription fees). ADT is also making some big changes to its Pulse home automation system, including a new app and API for hooking into other services, such as IFTTT, Nest, and Life360. While ADT isn't talking specific features yet, you could imagine Nest detecting when everyone's out of the house and offering to arm the alarm through your phone. The story behind the story: The news comes just a week after Comcast announced a bigger smart-home push as part of its own home security service. Both companies have realized that they need to connect their services with the growing number of new smart home products hitting the market. While not everyone wants home security as part of their smart home, those who do will likely gravitate toward the services that offer the most flexibility.